After waiting for Canon to come out with a high-end crop sensor camera, finally decided it was time to upgrade from my 7D to a 1DX. I fought it for quite a while as full frame wasn’t on my radar due to losing the 1.6 crop factor of my 7D. 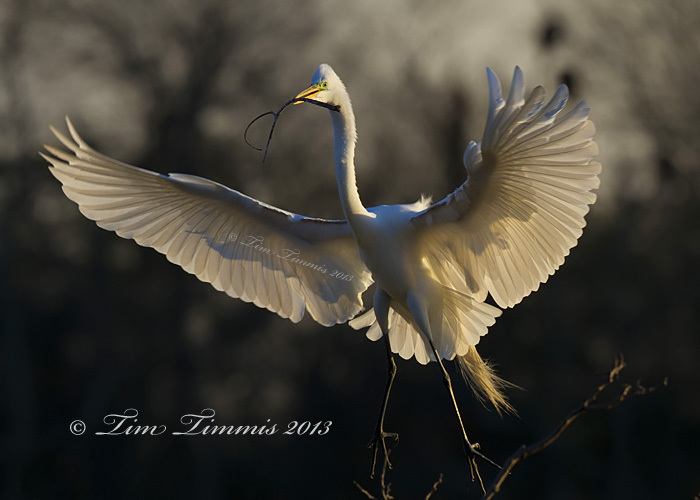 With bird photography being my niche, being focal length limited can be a challenge. A recent trip to Nebraska convinced me that it was time to upgrade with missing some good shots while not being able to crank up the ISO enough to get higher shutter speeds. My 7D is a great camera but it gets noisy above ISO 400. This was my first trip to High Island this year. Each season is a little different at the rookery with this year not being as good as previous years, IMO, with increased growth of the vegetation on the island covering up some of the best perching locations. Besides the changing landscape, trying out a new camera was also challenging, especially when showing up in the dark about 45 min before the sun came up. Will need lots of practice with this puppy to get used to the button locations. Luckily the buttons to change focus points and ISO settings are similar to the 7D. The ability to crank up the ISO to get higher shutter speeds was very sweet. Took most of my photos at ISO 1600, which look very similar to my 7D at ISO 400. I’ll post more later comparing the 7D to the 1DX after I get some more trigger time with the new camera. 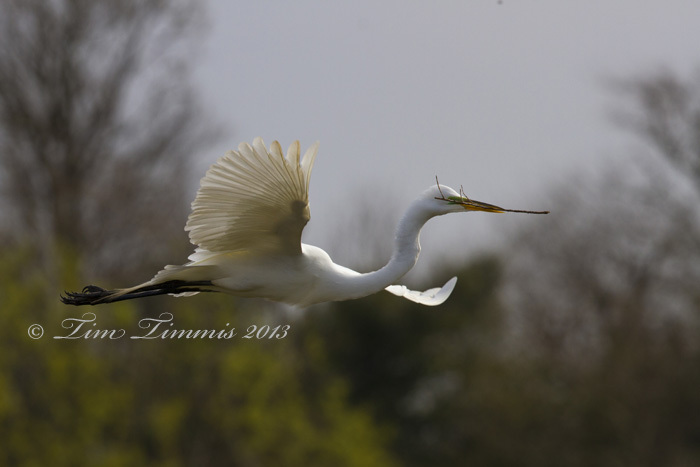 This Great Egret was all bristled up while chasing off another egret from its nesting area. 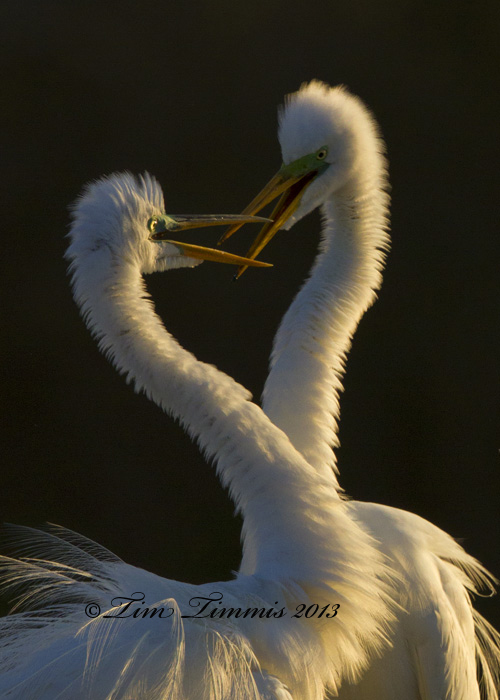 The breeding plumage can not only be used for attracting a mate, but also to intimidate an unwanted visitor. 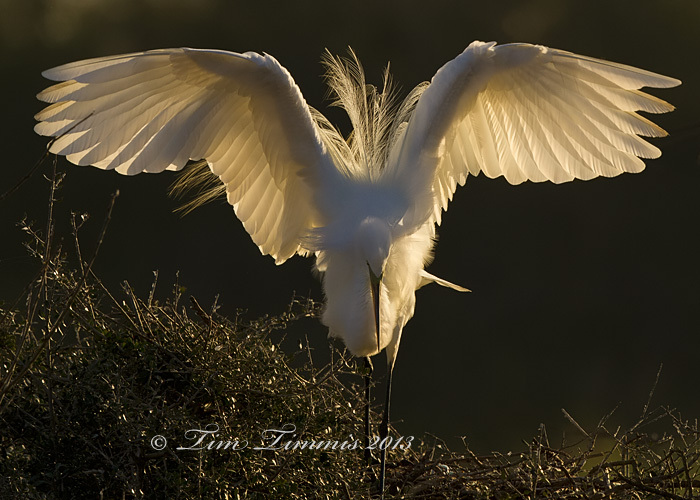 Some back-lit action from High Island’s rookery earlier this year. “He’s just not into you” doesn’t apply in this case. 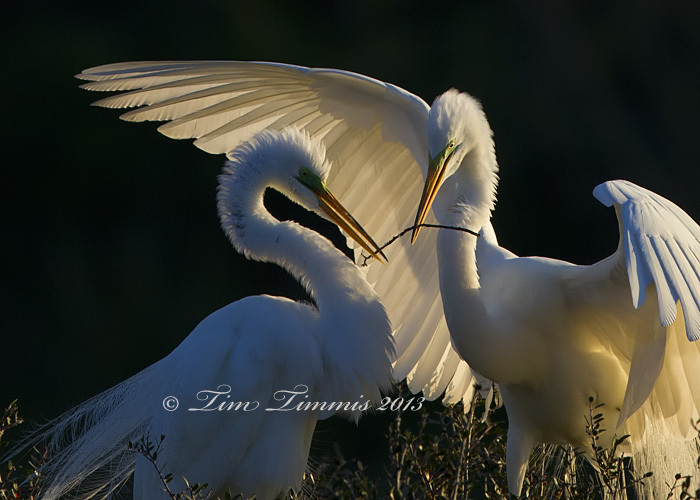 Love was is the air for both of these Great Egrets during mating season at High Island’s rookery. Used spot metering on these white bird to get the proper exposure which helped to darken the background. It’s always my goal to get a heart shape formed between the two birds necks. Got close on this one. When the mate arrives back at the nest with a stick, the ritual begins with lots of squawking. The stick is then transferred with an abundance of fanfare to the other egret. 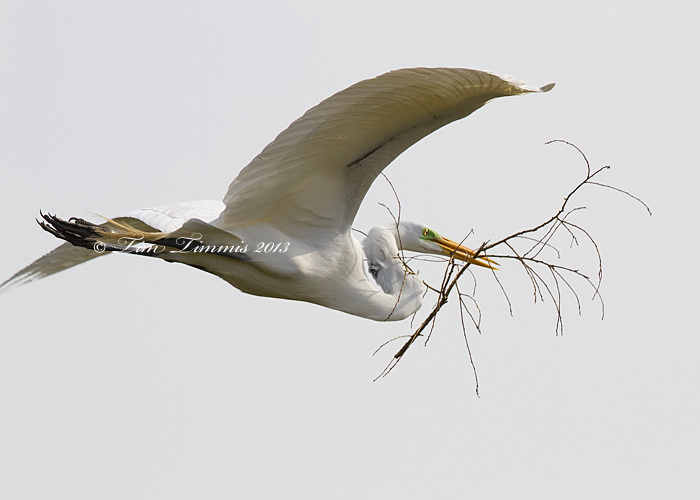 They often both hang onto to the stick while placing it into the nest. It’s quite the ceremony and interesting to watch and photograph. I tend to keep my focus on one pair of birds that are in a good position with a decent background. If you get lucky, they repeat the ritual time after time and allow for some great photo op’s. This was one of those times. One of my favorite shots from High Island so far this year. Using manual exposure and exposing for the brightest spots on the white birds keeps the whites from blowing out, darkens the scene and resulted in the black background. 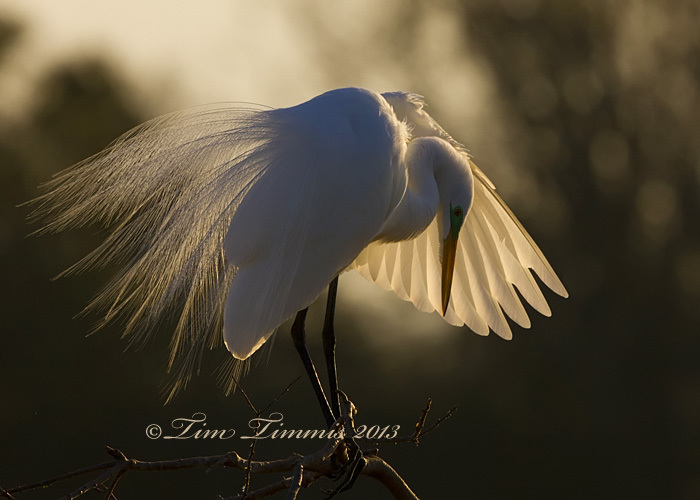 I’m a major fan of backlit bird photos, especially from High Island’s rookery. Sunrise is a very special time at the rookery. The sun comes up in your face and provides some great backlit photo op’s. 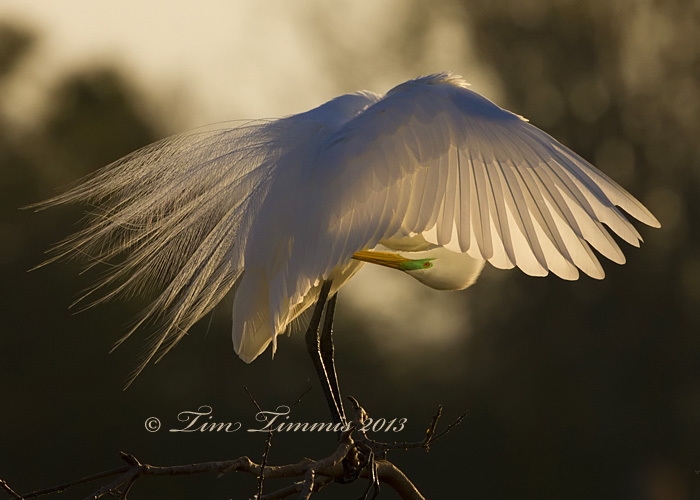 This Great Egret was showing off it’s breeding plumage and backlit wings. Apparently only one stick is not enough to build a nest with, go figure. Therefore, here are a few more sticks in transit. The first photo is the same bird from the previous post as he was coming in for a landing. All taken in manual mode to control the exposure on the white birds. Stick transfer shots are next. The nesting activity has started early this year at High Island’s rookery. 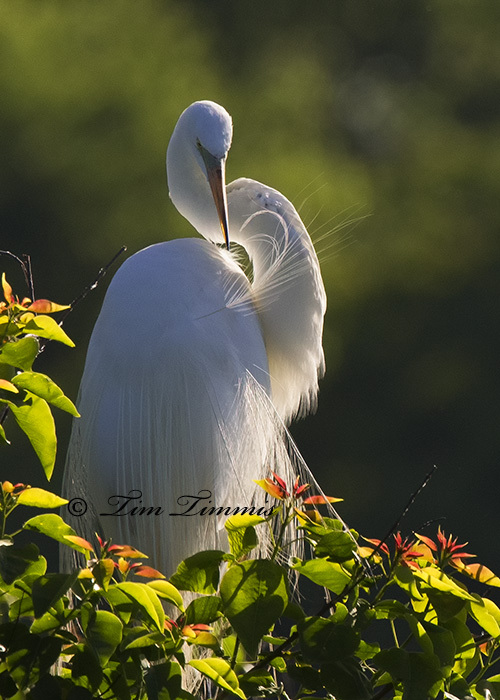 It’ my favorite time when breeding plumage is on display along with the Great Egrets busy mating and building nests. The rookery is filling up quickly with it being difficult to get isolated bird shots. My keeper rate has gone up this year with my 500mm lens and using manual exposure more. However, 500mm with a crop sensor camera is almost too close in some cases as I’ve clipped lots of wings on action shots. 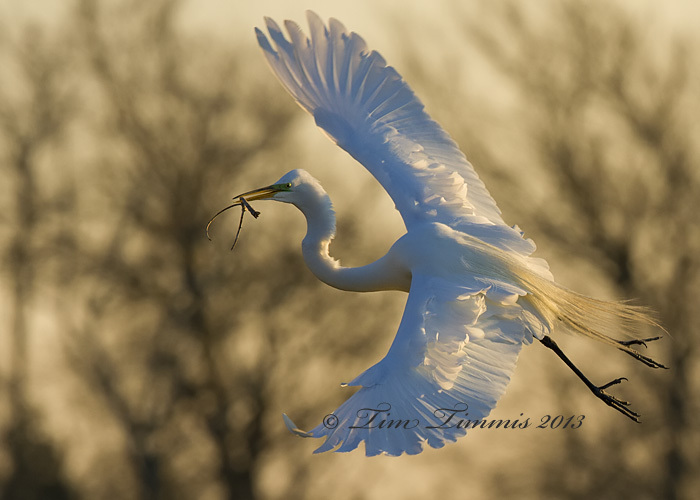 Caught this Great Egret with wings spread flying back to the nest with a stick. Unfortunately, the mosquitos have almost the same wing span. They are very nasty this year, at least around sunrise, so be prepared.